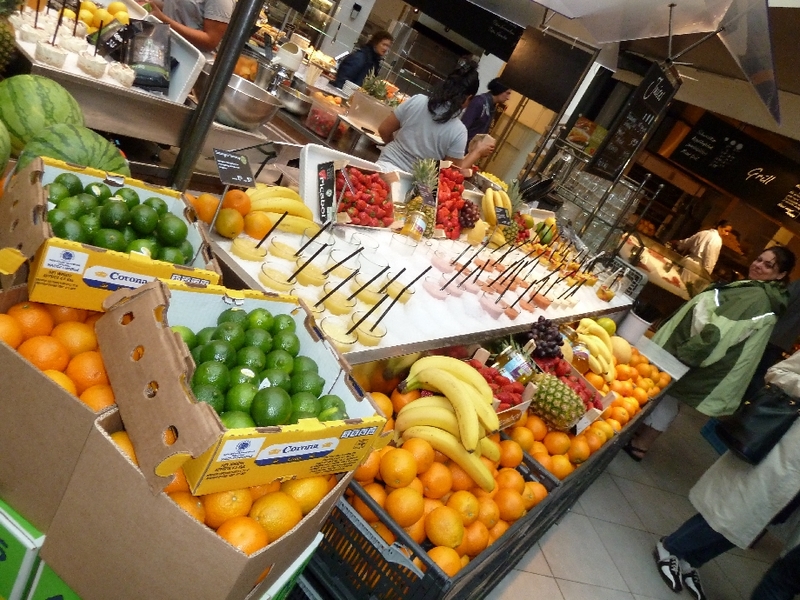 After our rather long and wet walk on Wednesday morning, we doubled back to one of the shopping centers we had passed and had lunch in the ground floor cafeteria called La Place (link in dutch only). I've never seen a food hall quite like this and I do rather hope I have the opportunity to see more of these in the future. 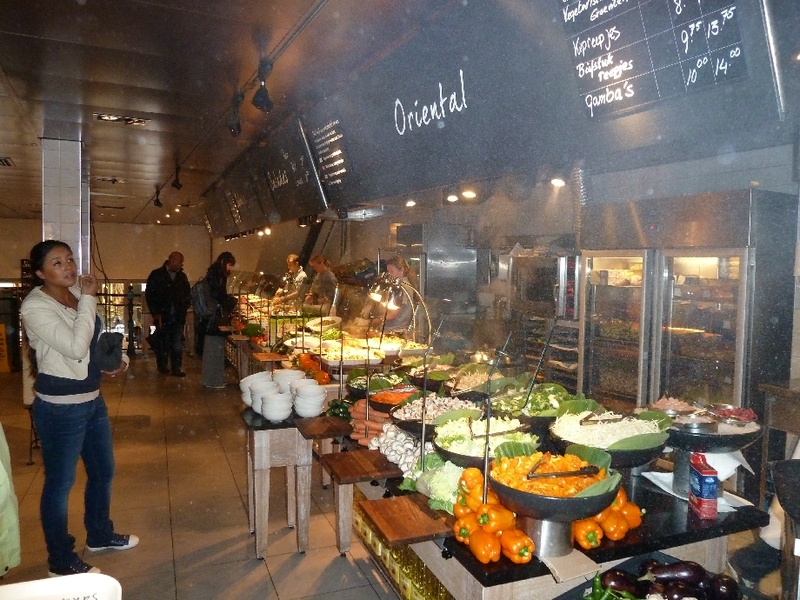 Basically it was a large food hall with all manner of freshly cooked or prepared items at various counters. You helped yourself and paid at a central kiosk. So the layout itself it not especially unfamiliar, but the array of food on offer was absolutely outstanding. There were freshly backed items - bread, muffins, croissants, cakes and hot savouries; myriad cold salads; freshly squeezed juices - including a fruit salad in a glass topped up with fresh juice, or a lemon and mint juice, or strawberry juice; an asian section where you choose your various items and handed them to the attendant to cook in a wok as you watched; a stand of hot soup - white asparagus, fresh vegetable or fresh tomato and basil; pizza; grilled items - again you choose your meat or fish and have it cooked while you wait. Fantastic! We shared a selection of salads, a bowl of white asparagus soup and one of those fruit salads in a glass with juice. Simon managed to take a few photos before he had finger waggled at him advising there were no photos allowed! Actually, the finger was waggled at ME once the woman realised I was with the guy taking the photos!